Juan Zepeda and Ana Isabel Espinoza-Agundis receive Great Minds in STEM awards. 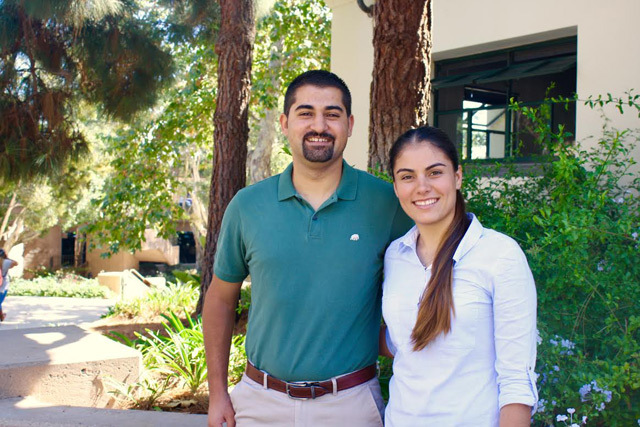 Santa Barbara City College mechanical engineering sophomore Ana Isabel Espinoza-Agundis and SBCC alum Juan Zepeda, now a software engineer at Raytheon, were honored recently by Great Minds in STEM (GMiS) for their work in engineering and technology. While Espinoza-Agundis earned accolades from the 2016 Hispanic Engineer National Achievement Awards (HENAAC) and a $2,000 scholarship, Zepeda was named a Luminary role model by GMiS. A drive to succeed, marked by a full load of classes at college and a 15-hour-a-week part-time job, characterizes Espinoza-Agundis. Her most important job, however, is taking care of her siblings, she said. She plans to attend UC Berkeley and ultimately be CEO of her own company. The awards will be presented during the HENAAC Great Minds in STEM™ Conference, October 5-9 in Anaheim.